Bed and Breakfast and Self Catering Close Malmesbury and Tetbury..
Merchants Farm is a traditional Victorian farmhouse furnished to the highest standard. Overlooking the River Avon with expansive views over open countryside, it has an extensive gardens, orchards, stable yard and a tennis court. We are equidistant between the historic market towns of Tetbury and Malmesbury. Tetbury is known for its many antiques shops, restaurants, cafes and boutiques. 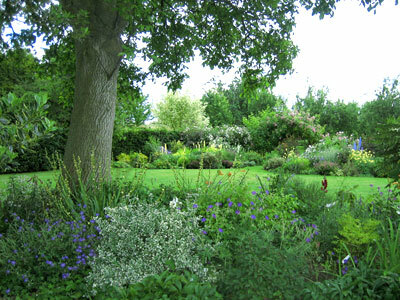 The ancient Borough of Malmesbury with its Norman Abbey and 15th century market place is also known for the world renown Abbey Gardens with a ‘collection’ of roses. Highrove, home to HRH Prince Charles, is close by. 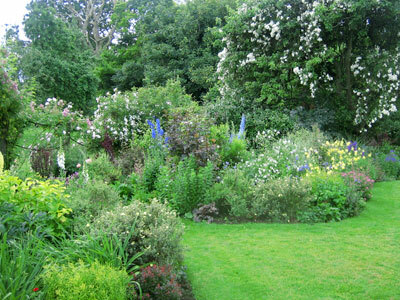 Tours around Highgrove Garden need to be booked in advance through their website. 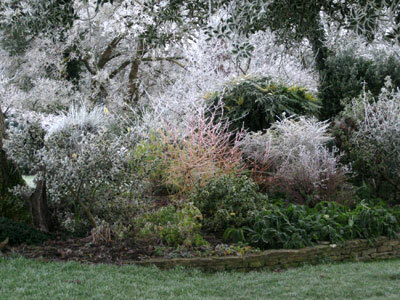 Westonbirt Arboretum is famous for its magnificent tree collection, and many concerts/events. The Spa towns of Bath and Cheltenham, Cirencester, with its Roman history, Slimbridge Wildfowl Centre and The Cotswolds are all on the doorstep. The equestrian events of Badminton and Gatcombe along with polo at the Beaufort Polo Club are within easy reach. Carriage driving, booking essential, is available at Merchants Barn Farm. Chavenage House, the Elizabethan Manor House is nearby. Wonderful walks in unspoilt countryside are available from the property to neighbouring villages and beyond. 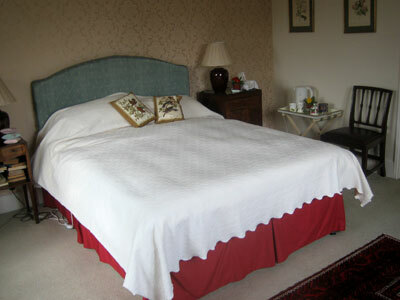 Good pub food and some highly acclaimed restaurants are within easy reach. 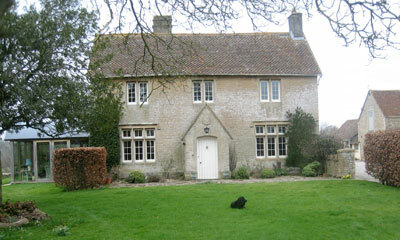 The nearest railway station is Kemble, just 1 hr 20 mins from London. Taxis available. Wi-fi access, stabling, tennis court. 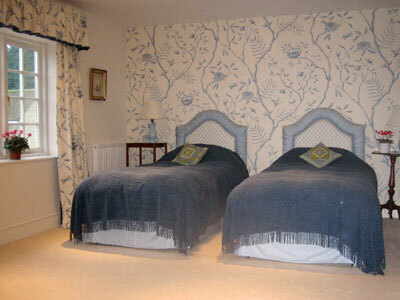 Two luxurious bedrooms, recently decorated to a high standard, are spacious and elegantly furnished. Comfortable beds with feather duvets and pillows, cotton bed linen and a quiet environment make for an excellent night’s sleep. 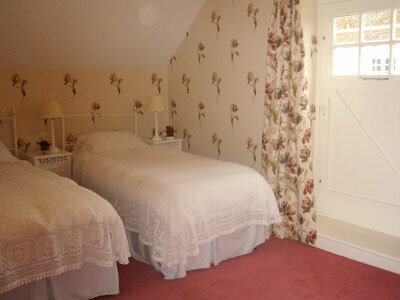 Double bedded room with en-suite bathroom and shower. King size bed. If you would like to book online please email us on jafent83@gmail.com. Alternatively do call us on: +44 (0) 1666 504216 / 07557516287. We would be delighted to talk to you. For a map of our location please click here.